Yesterday I wrote about what Kenyan communities are doing to keep orphans in their own homes. 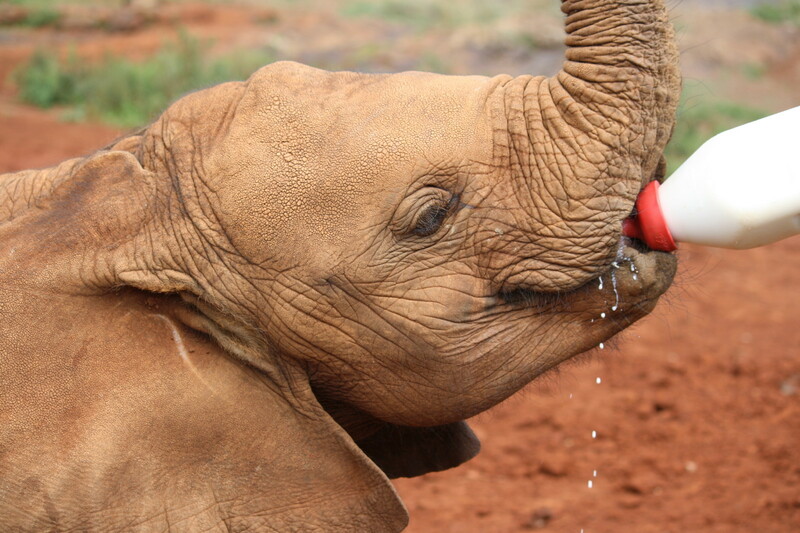 The elephant orphanage we visited here has the same goal, taking care of the baby elephants until, as teenagers, they can be gradually reintroduced back into their communities. Ivory is more lucrative and in higher demand since the ban, so poachers of course are responsible for many of the orphans. When an orphan is brought to them, the first thing the staff of the David Sheldrick Elephant Trust have to deal with is the psychosocial distress. Like the human orphans we have met, they grieve their lost mothers. Some of them won’t survive this grief. 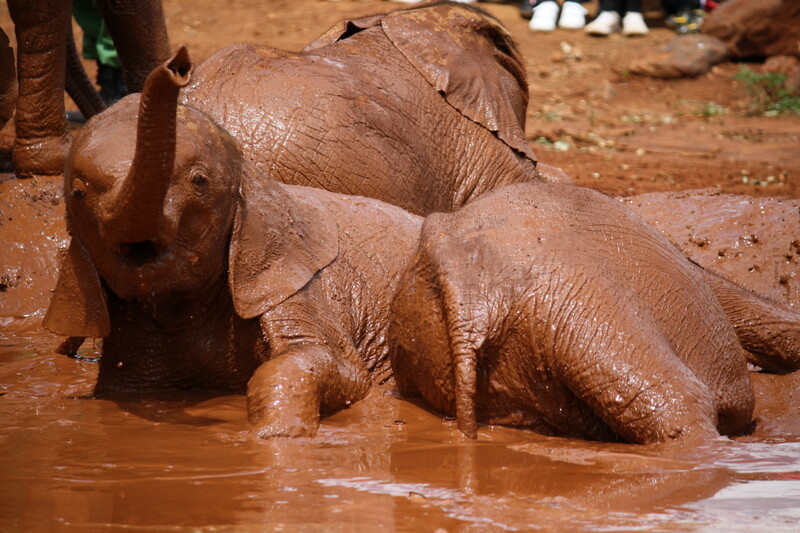 We could easily identify the baby elephants that were still grieving. They were listless, walked with their trunks lowered down, and didn’t play with the others. This reminded me of what we were told on our first day here, that providing psychosocial care to to grieving human orphans was the single most important activity. In the elephant orphanage, they provide this support through human keepers who are with their elephant charges 24 hours a day, sleeping on mattresses beside the smaller elephants – who need to feed every 3 hours – and on bunks next to the larger ones. As with human orphans, the goal is self-sufficiency. As the elephants become teenagers, they will start spending the days with the wild elephant herds. But, like human teenagers, they prefer the security of returning to their homes at night. Then one day, as my son will do in a few years, they stop coming home at night: they have joined the adults. In the human community here, they encourage the orphaned children in their independence by teaching the children how to cultivate the soil, how to build a pen for the animals so they don’t have to sleep in the house, how to cook and care for the younger children. 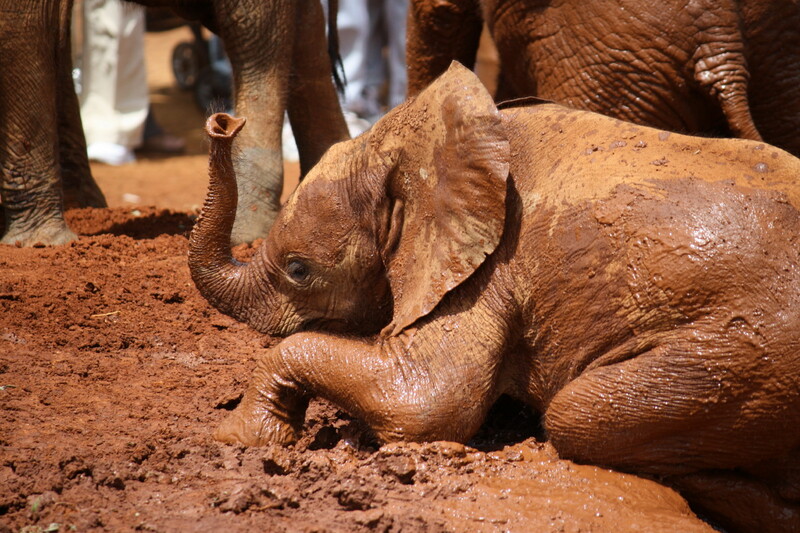 Human orphans and elephant orphans both need help with the trauma of losing their parents.